It is big, soft and more cute than usual house cat. 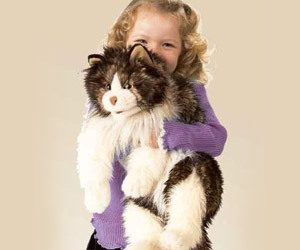 Ragdoll cat is a real looking fun item for your child. It is brown on the top and white under-neath.